Raleigh Plumber Offering Full Service Plumbing Services - Poole's Plumbing, Inc. Discover for yourself why Poole’s Plumbing is one of Raleigh’s most respected professional plumbers! From tank to tankless, natural gas, propane and electric…. Poole’s does it ALL! We have highly-qualified technicians and offer the best brand name water heater systems available. Paired with our “Best Price in Town Guarantee”, we offer a service like no other. Call us today for a free estimate! We offer quality plumbing products from all your favorite brands along with a top-notch installation, all backed by a one-year labor warranty. From water heaters to faucets, high-efficiency toilets and more, Poole’s is here to help you! 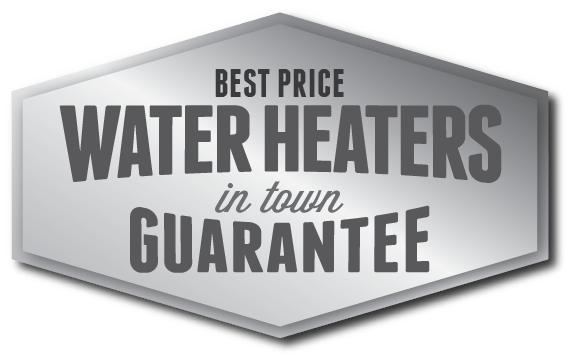 With our price match guarantee on all new and replacement water heaters, you get the most trusted name in the Triangle at the lowest rate in town! Contact our water heater experts at Poole’s today and save! If there’s water leaking or sewage backing up into your home, you can’t just wait until tomorrow to get it fixed. That’s why we’re available 24/7 for emergency plumbing service! We will have your home back to normal in no time!